Whatever it Takes, Manton Students are Worth it! Are you looking for Ranger Gear? We also have a Spirit Store open year round through Creative Embroidery in Cadillac. 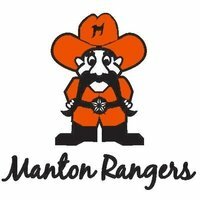 Please visit their web sight and click on Manton Rangers: https://www.c-emb.com/ To shop local, please visit Bosticks Drug Store or Latitude 44. Manton Consolidated Schools is on a 2-hour delay today, Monday, April 15th due to current road conditions.